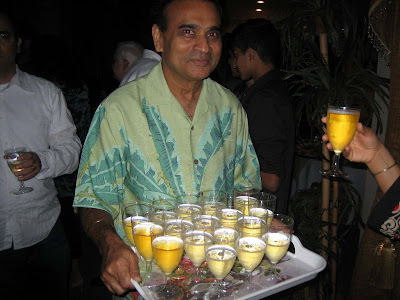 A man serves glasses of champagne and non-alcoholic sparkling cider at a New Year's Eve party of Indian community members in western Orlando. The drinks were courtesy of generous hosts at a beautiful home overlooking a lake. Rajeev Sood, a physician from Orlando, and his nephew (and my friend), Jayshal, invited me to a party of Indian community members on New Year's Eve. I thought I would stick out like a sore thumb at the get-together. It wasn't just because I was the only person who wasn't a part of that Indian community. It was more because I was wearing jeans and a casual shirt. Jayshal, Rajeev and Rajeev's wife, Subira, wore nice shirts and pants. But they assured me that I was fine, and we headed out to the party after taking a few photos. Rajeev found out that I knew a little about photography and enlisted me to take photos of his family. He gave me his camera to take photos throughout the party. When we arrived at the host's home, a large lakeside house in western Orlando, Jayshal and I were still in the back of Rajeev's Mercedes sport utility vehicle when a man greeted us with a slight bow and with his hands together as if to pray. The man couldn't see through the tinted windows and mistakenly thought Jayshal and I were Rajeev's parents, so he gave us a traditional Indian greeting for elders. When he realized who we were, he and Rajeev laughed. The host home was daunting. It was a perfect party palace: large bar, open kitchen, huge dance area, widescreen television. Outside, there was another bar beside a large pool. The screened-in area could hold a few hundred people comfortably and offered a magnificent view of the natural lake and a nearby temple owned by The Church of Jesus Christ of Latter-day Saints. The towering church steeple glowed in the night, and fireworks exploded around it. I said something to Jayshal about the use of illegal fireworks in Florida. I had just edited a story about it the night before. He said there are no restrictions on them in India. Then he told me about how, in his foolish childhood, he had been playing with firecrackers with his brother when one exploded in his hand. 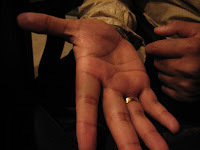 His index finger and thumb were dangling by the skin. The two digits were sewed back on, and he still has the scars that circle them to prove it, left. 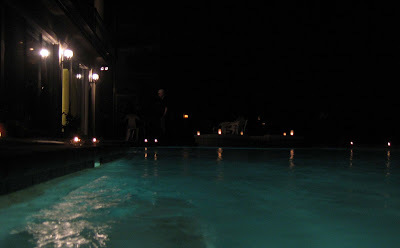 Jayshal pointed out the candles that were lining the pool, below. He said they were traditional candles used in Indian religious ceremonies. They looked like regular teacup candles, but they didn't have wax. Instead, mustard oil fueled the flame. Inside, speakers blasted Hindi music that I couldn't understand. 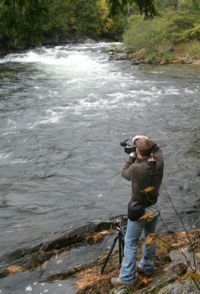 The bass was pronounced, and the instrumental sound compared to American hip-hop. But somehow it seemed more meaningful, and I bet the lyrics weren't quite as explicit. Jayshal told me that it was Punjabi music, tunes named after his native state of Punjab. There were a few other things I didn't understand. What was up with the men with headdresses and beards? They were Sikhs, who came mostly from Punjab, Jayshal said. It helps to have a friend who can answer every question to lessen your ignorance. Wanting to know the true pulse of an Indian celebration, I asked Rajeev. "Indian parties are all about the food," he answered. So I checked out the buffet, a circular spread of every Indian dish imaginable, above. Considering I had eaten my first Indian meal earlier in the day, it was bound to be an Indian-food overload when I saw the spread. Rajeev circled the table to show me which dishes were vegetarian, which were meat. It was about a 50-50 split. I knew I had to try everything, so I scooped a bit out of each dish and plopped it onto my plate. 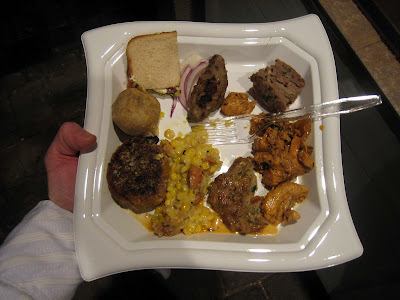 The resulting meal was, starting from foreground clockwise in above photo, chicken patty with spices, corn with chickpeas, potato patty with spices, pastry balls filled with something green and yummy, sandwiches with special mayonnaise and cucumber, chicken kebabs with onion, chicken meatloaf and chicken curry. The tastes were amazing. The only extremely spicy food was the potato patty, which was pan-fried and mixed with herbs and spices. I'm not big on hot foods, but this was the best. Most dishes in the spread contained Indian foods, except for the Subway sandwiches that someone brought. They seemed out of place. 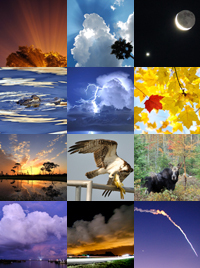 The following photos show more closely the variety I indulged in. The headline of this post, "'Indian parties are all about the food' - mostly," certainly implies that there's something else. That quote from Rajeev isn't complete. He actually said, "Indian parties are all about the food ... and the dancing." 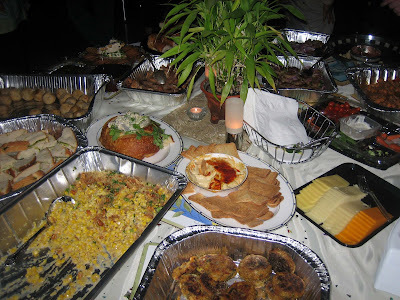 But for me, the party was about learning new things, meeting new people, and, yes, eating new foods. I was treated with such grace. When we were about to leave, Jayshal and I made one last trip to the dessert table, which consisted almost entirely of American sweets. It didn't seem that desserts were a huge part of Indian culture, thought that's probably not true. Jayshal grabbed one of the mini cheesecakes and attempted to put it into his mouth. But the rich treat slipped out of its paper holder and fell onto the hardwood floor. Just then, we turned around and saw the hostess. Jayshal and I left the beautiful house laughing together and collectively hoping that the hostess didn't notice the cheesecake smeared on her floor. You didn't clean it up? You really are ungrateful. If we cleaned it up, the hostess certainly would have noticed. And we wouldn't want that.